Germaine A. Entringer, 89, Algoma, passed away Wed. May 9, 2018 at the Algoma Long Term Care. She was born Nov. 24, 1928 in Algoma to Harvey Sr. and Mary (Romdenne) Zimmerman. 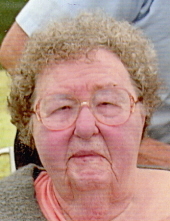 Germaine graduated from the Algoma High School in 1946. She married Donald Entringer Sept. 4, 1948 at St. Mary Church, Algoma. She had worked at Katch's, Miller, Pies and Blazkovec Attorney Office, Weber Gomoll Ins. and then at Women's Employment Project and the Door Kewaunee County Weatherization Business for 17 years. Germaine enjoyed her time with her family, family vacations, watching the birds, looking at the lake and all the nautical things associated with Lake Michigan, flower gardening, knitting, reading, sewing and quilting. She was a member of St. Mary Catholic Church, Rosary Society, was on the School Board and Parish Council, was a member of the VFW Auxillary and the Homemakers Club. She is survived by her four children Richard (Jeanette) Entringer, Kokomo, IN; Lee (Bonnie) Entringer, Larry Entringer and Mary (Paul) Mitchell all of Algoma; five grandchildren Ashley (Clint) Morgan, Michael (Alison) Entringer, Kayla, Emily and Zachary Mitchell; one great grandson Tyler Morgan; one sister LeVerle Koenig, Algoma; many nieces and nephews. She was preceded in death by her parents, husband Donald, one son Mark, five siblings Harvey Zimmerman Jr., Jerome Zimmerman, Herbert Zimmerman, Myra Michaletz and Jimmy Zimmerman. Family and friends are invited to attend the visitation for Germaine, Sat. May 12th, 2018 from 11 AM until the Mass of Christian Burial at 1 PM at St. Mary Catholic Church, Algoma, with Rev. Peter Stryker officiating. Burial in the church cemetery. The family would like to give a special thank you to the staff at the Algoma Long Term Care, Germaine's roommate, Mary Seldon, her special friend Patti and Unity Hospice for all the kindness and care given to our mom during her stay at the Long Term Care. To send flowers or a remembrance gift to the family of Germaine Ann Entringer, please visit our Tribute Store. "Email Address" would like to share the life celebration of Germaine Ann Entringer. Click on the "link" to go to share a favorite memory or leave a condolence message for the family.